Today Sarah and I spent the entire day at Kennywood near Pittsburgh. This was your second trip to the park and our first since 2004. Sarah was able to pick up several roller coaster credits on coasters that I have already ridden and she hasn't until today. Our first ride of the day was on Kangaroo, which was the last ride we were on in the park back in 2004. What a great ride. Too bad it's the last one of its kind. Next was Bayern Kurve. Oh My God! What a great ride. That thing is so fast. I had no idea. Thank you Jeff Putz for the suggestion. Sarah and I then headed to Cosmic Chaos. This was our first spin on a Mega Disco ride. After three straight spinning rides it was time for a coaster. Phantom's Revenge! Throughout the day we scored rides on all the major coasters; Phantom's Revenge, Jack Rabbit, Exterminator, Racer and Thunderbolt. We hit the three dark rides; Garfield's Nightmare, Ghostwood Estate (I won both times) and Noah's Ark. We also managed to ride some of their other flat rides as well; Swing Shot, Whip and Paratrooper. We took the plunge on Log Jammer too. During the evening we caught part of the Fall Fantasy Parade. For our last coaster ride of the night we did Phantom again. It was the best ride of the day. Front row, dark ride and cool night air... it seemed so much faster. What a great ride. 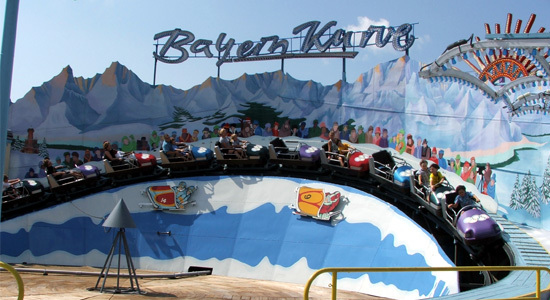 I finished the night with one more lightning fast ride on Bayern Kerve. Wow! 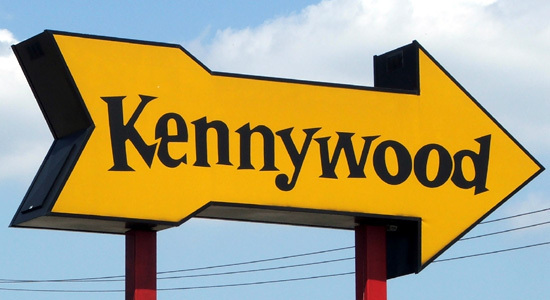 Click here to see the pictures of our Kennywood adventure.